A black and white negative of John Mansfield dressed in Composite Lodge attire. 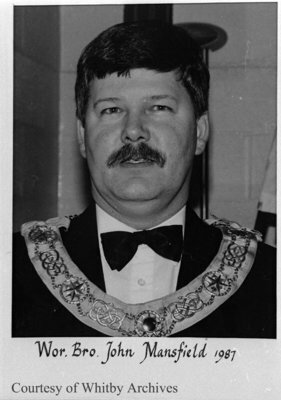 John Mansfield was Worshipful Master of Composite Lodge in 1987. John Mansfield, Photographer Unknown. Whitby Archives A2016_017_008A.